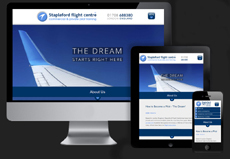 Welcome to Stapleford Flight Centre! HOME > Welcome to SFC! 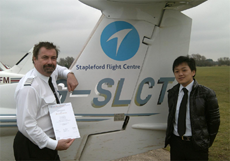 Based in London England, Stapleford Flight Centre has been training private and commercial airline pilots for over forty-five years. Many of our private pilot students have gone on to enjoy a lifetime of 'fun-in-the-sky' and many others have become flight instructors. Of course, many hundreds of our past commercial pilot student are now flying for airline operators all over the world too - British Airways, Thomas Cook, Ryanair, Easyjet, Emirates, Cathay Pacific... to name just a few. So, if you want to learn to fly, or even become a commercial pilot yourself, then you've certainly come to the right place. 'The Dream' starts right here! "How difficult is the training?" "Which qualifications do I need?" "How much does it all cost?" "Where on earth do I start?" There are actually two main routes to becoming a pilot. The first is referred to as the 'integrated' route, the second as 'modular'. We will discuss these in more detail in a moment. For now, all you need to remember is that both routes are equally valid, and that both ultimately lead to the issue of what is known as a 'frozen' Airline Transport Pilot Licence (fATPL). "This is a commercial pilots licence containing a multi-engine instrument rating, and awaiting more experience"
Once you have achieved a total of 1,500 hours of total flying experience - of which 500 hours must be as co-pilot and 100 hours must be at night - it's then 'unfrozen' and thereafter referred to simply as your 'ATPL'. Your fATPL will be issued by the UK CAA (Civil Aviation Authority). The UK CAA operates under EU law to rules set by the European Aviation Safety Agency (EASA). EASA is the EU body responsible for training and for monitoring commercial-pilot standards across Europe. An EASA licence is recognised worldwide (although some conversion training may be required in third-party countries). Getting started - Are you fit to fly? Before committing to the expense of any professional pilot training we strongly advise would-be students to first undertake a medical examination with the UK Civil Aviation Authority (CAA). All commercial pilots have to be declared 'medically fit' to a standard known as “Class 1” before being allowed to fly. Your initial UK medical examination can only be undertaken at a limited number of approved centres. These are listed on the UK CAA website www.caa.co.uk/medical. The initial medical is examination is a fairly exacting and is an absolute prerequisite for a professional flying career. Details of what is covered during the examination are also available from the CAA website. Assuming you pass the medical checks, and have been granted your Class 1 Medical Certificate, you now need to examine the differences between the modular and integrated routes we mentioned earlier, so you can choose which best suits your individual circumstances. (For more information see www.caa.co.uk/medical). 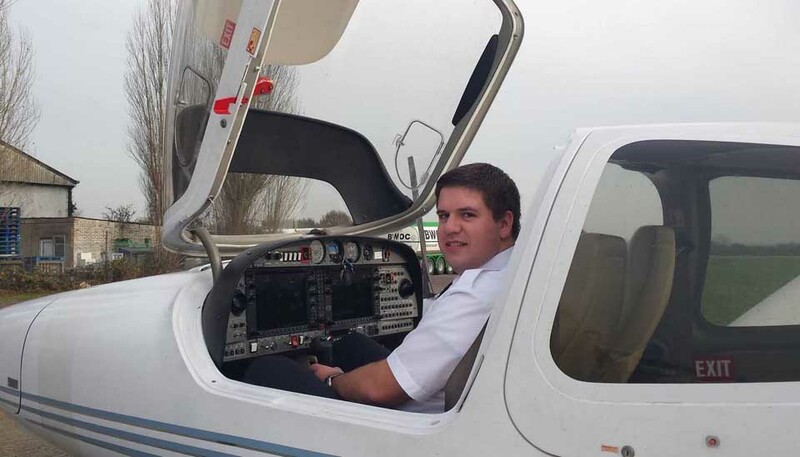 Integrated or Modular route to a Professional Pilot career? This is a question that every would-be airline pilot faces. Fortunately, you have found the right place to do your research. We provide the facts; you make the decision. Stapleford believes that both routes are equally valid and both will be delivered using highly qualified staff utilising fully approved systems and equipment. The training you will receive will lead to you being able to fly just as well regardless of which path you choose, the professional level written exams you will pass are identical. With the integrated route no licence or ratings are issued during the training just one fATPL at the end. With the modular route the licences and ratings are passed and issued as you complete the modules, which add up to your fATPL at the end. The following, very detailed, analysis of the two courses does show the differing nature of the variants. The integrated route appears more seamless and with less options open to the student. And so it should. The integrated courses must be completed with one provider and all elements must be completed successfully, no licences or ratings are issued until course completion. The modular route is designed such that students can move schools between each and every module, should they wish, or stop training altogether and achieve just a Private Pilot’s Licence, for example. In most cases, personal circumstances and finances will largely dictate the right path for each individual. This training path is designed for those that need to continue to work, train part-time or take breaks during their training or that simply cannot commit to the intensity of a full time programme. 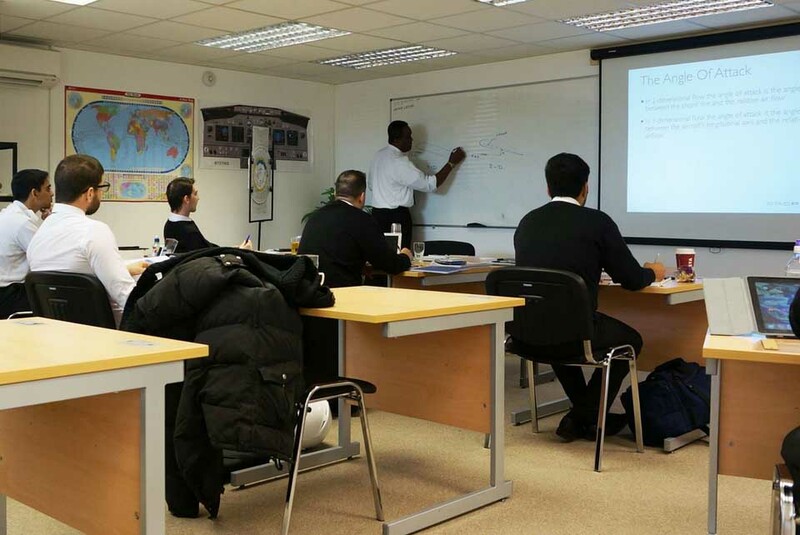 The duration of the full ATPL course depends on what level of commitment you can make to your studies but if you can commit to 5 days a week then the total duration will be similar to the Jetway Integrated course. Modular courses are typically cheaper than integrated courses and at Stapleford we require very little in the way of 'up front' payment, however, finding commercially available finance can be more difficult than for an integrated course. This training path requires full-time attendance, 5 days per week for approximately 16 months (think of it as going to university). You will not be able to take long holidays or work whilst training and so you need to be able to fund the package and commit 100% of your time to your studies. Integrated courses are typically more expensive than modular courses and have an element of “up front” payment but they have the benefit that finance maybe commercially available for them, subject to status. As you can see from the diagram above, once you have obtained your Class 1 Medical, you first need to train for and obtain an EASAPrivate Pilot Licence (PPL). This is a course of instruction that teaches you the raw basics of flying an aircraft, including taking off, climbing, flying straight and level, making left and right turns and, of course, landing - and is all initially conducted at Stapleford. Once your instructor is happy with your progress, you will enjoy performing your first 'solo' flight - a truly momentous moment in your flying career. This is then followed by learning how to navigate to other airfields, joining an airfield 'circuit' and handling in-flight emergencies. Don't worry, your instructor will never let you go further than you are ready for, and it really is great fun! You will also need to pass a test of your ability to use the aircraft radio. Finally, you will need to pass a final flying test with a CAA-approved examiner. The PPL course is always undertaken in a small single-engine training aircraft - such as the many Cessna 152s, Piper PA28s or the new Tecnam P2008JC we have here at Stapleford Flight Centre. Once you have a PPL you will then need to move on to pass further written exams at the higher, professional-pilot level. Whilst studying for your ATPL exams you will also need to build up your flying experience by flying 'solo' as a fully-qualified private pilot. During this time you will also learn to fly at night. This is always an exciting moment; seeing the lights of towns and cities against a very dark background and learning how to judge both height and distance in low-level light. You will also need to undertake one flight of at least 300 nautical miles, and with two airfield stops in-between, to build up your navigational experience. Finally, you will need to build up at least one hundred hours of "Pilot In Command" experience (PIC) before being eligible to sit the next stages below. This is often referred to as 'hour building' or 'flight experience'. Stapleford’s location is ideal for this hour building. This is because the airspace in and around Stapleford and London's four main airports is some of the busiest and most complex in the world and this allows the student to attain a high level of 'situational awareness' (a phrase we'll examine more closely in a moment) during this crucial part of the training process. It’s not all about flying an aeroplane, we need to be aware of what is going on around us as well. Much of the CPL course is similar to the PPL course, but you will be expected to fly ever more accurately and precisely. This course will build your skills and accuracy and includes at least twenty-five hours of flight training. The course is undertaken in heavier, faster and more 'complex' aeroplanes than the basic training aircraft. The main focus of this course is to develop your 'situational awareness' - in other words, being much more aware of everything that is going on around you. You need to know what goes on inside and outside the aircraft. And you need to learn how to 'plan ahead' rather than focusing only on what is immediately in front of you. As with the PPL, the CPL course ends with a flight test with a CAA-appointed examiner. Now, you may have noticed that almost all commercial airliners have more than one engine. But so far your training has all been undertaken on single-engine aircraft hasn't it? So now it's time to expand your experience to include flying twin-engined aircraft. Of course, having two engines makes some elements of a given flight easier. Apart from anything else, you now have a spare engine to rely on if one fails. However, the ME rating also teaches you how to handle a twin-engine aircraft if one engine does fail. The Multi-Engine Rating (ME) involves a minimum of six hours of flying training. The weight, speed, and complexity of the aircraft you train on increases on this course and ends with a flight test with an approved CAA examiner. (By now, you're probably starting to realise that the route to your fATPL involves collecting a series of ratings and licences). So far, all of your flying has been restricted to 'good weather' days with clear skies and where you are looking outside of the aircraft most of the time. But weather isn't always like that is it? In fact, a considerable amount of your time as a commercial pilot will be spent flying in limited (or even nil) visibility - due to cloud, fog, heavy rain or snow. So now you need to expand your skills to include 'flying blind' which involves quite a bit more time looking insidethe aircraft - and in particular, relying on just the aircraft instruments, hence the name 'Multi-Engine Instrument Rating' (ME/IR). During this part of your training, you will learn how to navigate to various airfields, make an approach using only your instruments, perform a 'go around', then handle a simulated engine failure on the climb-out, and then conduct a series of other tasks with only one engine functioning. As you might imagine, this is without doubt the most challenging element of your training. The course is a minimum of forty-five hours and is a combination of both real aircraft and simulator-based training. As always, this ME/IR course ends with a flight test with a CAA-approved examiner. So, with your completed CPL and a ME/IR under your belt, you have now earned your fATPL. Congratulations! How long will the modular route take? All of the above describes the 'modular route' to the fATPL. If you train full-time, the modular route normally takes around eighteen months to complete, depending to some extent on having good weather as you go along. However, despite a few legal time limits you are allowed between modules, the real beauty of the modular approach is that you can undertake each stage as and when it suits your individual time frame and budget. I Have My fATPL, So What Happens Now? The MCC course teaches you the basics of flying with another pilot at your side. This makes pretty good sense. After all, larger aircraft are going to be easier to fly if tasks are shared between two or more crew members aren't they? However, this 'task sharing' advantage brings with it further challenges. For instance, what would happen to a two-person crew of a large passenger aircraft if it wasn't clear who was responsible for lowering the undercarriage before landing? And what would happen if it were left unclear who was responsible for actually flying the aircraft when a technical problem arose to distract both pilots? Without clear task allocations, it's easy to see how accidents might happen. It's also easy to see that if two pilots don't communicate well with eachother - especially where they might have quite different personalities, or perhaps very different cultural backgrounds - any resulting misunderstandings could easily lead to accidents too. So a good deal of your MCC course discusses how two or more pilots - whoare human beings after all - ought to interact with eachother consistently and professionally to minimise those risks. You will learn how to be situationally aware of all the factors involved with conducting a safe flight; from the internal (technical), to external (environmental), to the human (personal). You'll ask "How well is the aircraft flying? ", "What is the weather doing?" and "What are other aircraft around us doing?" and more subtle yet equally important questions such as "How fatigued are my fellow crew on this rather long night flight?" In addition to these safety-related issues, on routine multi-crew flights you'll learn that one pilot is always responsible for flying the aircraft and the other for the additional tasks that arise; radio call responses, checking fuel figures and so on. Again, even on normal flights, without a clear understanding of who does what and when, it's clear that chaos would soon ensue. The MCC course teaches you the typical task allocations that happens in a professional flying environment and by the end you'll be clear about the principles of flying safely with other crew members. You may find that some 'integrated route' schools also offer an optional "MCC / Jet Orientation Course". This is much the same as the MCC course as described above except that it places particular emphasis on the task allocation involved in a jet aircraft environment. Along with the principles of multi-crew operations, the JOC provides the student with some useful simulator-handling experience of the larger and heavier jet aircraft types. The Jetway Integrated Route to a fATPL consists of a number of ‘phases' which need to be completed in the following order. Each phase must be successfully completed before you can move into the next phase. Successful completion is assessed in a formal progress test with an in-house examiner, except phase 4 which is assessed by a UK CAA Examiner. Initial flight training is learning to handle the aircraft, take-off, climb, level off, turn, descend and, of course, how to land! You will also be introduced to aerodynamic stalls and spins and taught how to avoid them. All of this will lead to your first solo flight which will signify completion of phase one flight training. Phase 2 flight training will be both aircraft and simulator based where you will learn practical Navigation skills and will be introduced to instrument flying for the first time. You will learn how to deal with an engine or weather related emergency and you will also carry out more solo flight time to consolidate your learning and build your expertise. At the appropriate point you will demonstrate your level of expertise to an in house examiner to complete phase two. This phase builds your situational awareness with advanced visual flight, night flying, radio navigation techniques, instrument aircraft handling and advanced emergency handling. Again there is a mix of dual flight training and solo time and utilisation simulators for some of the training. A further progress test with and in house examiner completes Phase 3. In this phase the student flies a multi-engine aircraft for the first time, and, more importantly, what to do if one of the engines fails. With the extra speed and capability of these aircraft we can also join the commercial traffic in the airways system high above London and learn to make instrument approaches to major airports in conditions where the pilot can’t see. This phase concludes with a flight test with an independent UK CAA designated examiner and is quite a demanding exercise. So far, all of your flying has been restricted to what are known as 'single pilot aircraft'. Only one person can be flying it at any point in time, either you or your instructor, but not both. Airliners, however, have two and sometimes more crew. This phase introduces the art, and pitfalls, of sharing the cockpit workload. 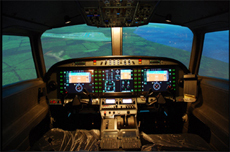 The training is both classroom and simulator based and introduces the student to handling a large jet type aircraft, its automatics and systems, in our medium range jet simulator based on the Airbus A320 family of aircraft. Ok, so whichever route you followed, you now have both your fATPL and an MCC certificate and you have some simulated flight time on large aircraft. Now you need to train to fly a specific type of aircraft for your career, a type rating. Here you will apply everything you have learned on much smaller aircraft to a much larger and specific aircraft type; perhaps a 20-seat turboprop, or even the larger 230-seat Boeing or Airbus jets. Of course, these are much bigger and faster passenger transports, and are certainly more complex than anything you will have flown so far. Nevertheless, the basic principles you apply to flying a small aircraft will be much the same; after all, every aircraft ever made has always had a fuselage, some aerofoil surfaces and some form of propulsion hasn't it? All that really changes is the speed at which everything happens (due to the much faster airspeeds of turboprop and jet aircraft), the sheer number of extra instruments you will need to keep an eye on (due to the size and complexity of the aircraft itself) and, of course, the likelihood that you will now be flying in and out of much larger and busier airports. 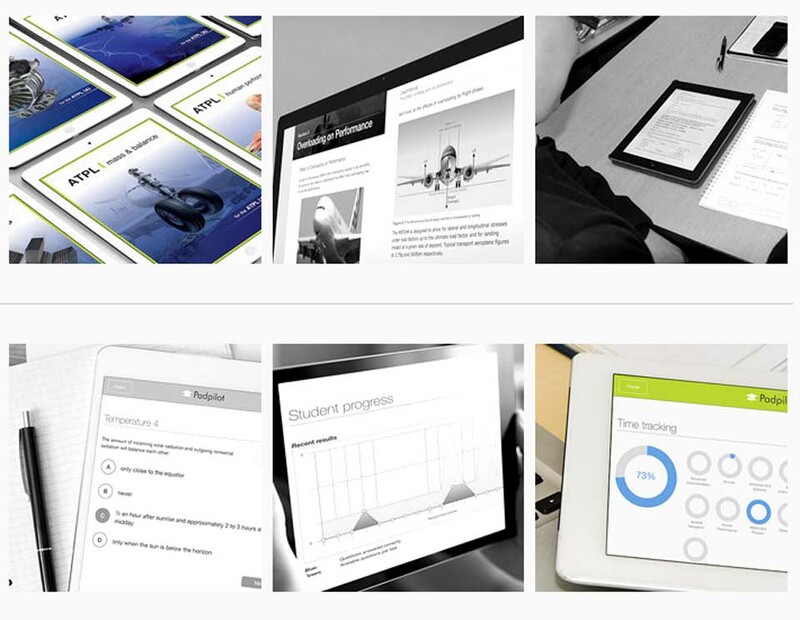 Your type rating will be a structured programme that begins with a considerable amount of classroom time. With your ground instructors' advice and help - along with electronic presentations, flight-deck mockups, printed literature and sometimes a 'self-learning' automated computer programme - you will learn all about your specifically chosen aircraft in great detail. You will be looking at the overall handling characteristics and performance of the aircraft. You'll learn how the jet or turboprop engines work, you'll learn how the hydraulic (and/or computer-based 'fly-by-wire' electrical systems) drive the various aerofoil surfaces to control flight direction, and you'll learn how to operate the landing gear. You'll also study the navigation tools onboard - including how to use ground beacons, satellite GPS and the onboard flight management computers to know exactly where you are at any moment, and how to programme a flight route. You'll then learn about the highly sophisticated safety equipment available on modern commercial aircraft - such as ground-proximity, traffic-collision and automatic stall-warning systems. Last but not least, you'll learn about the challenges of flying at much higher speeds than before, at higher altitudes and in a pressurised cabin. 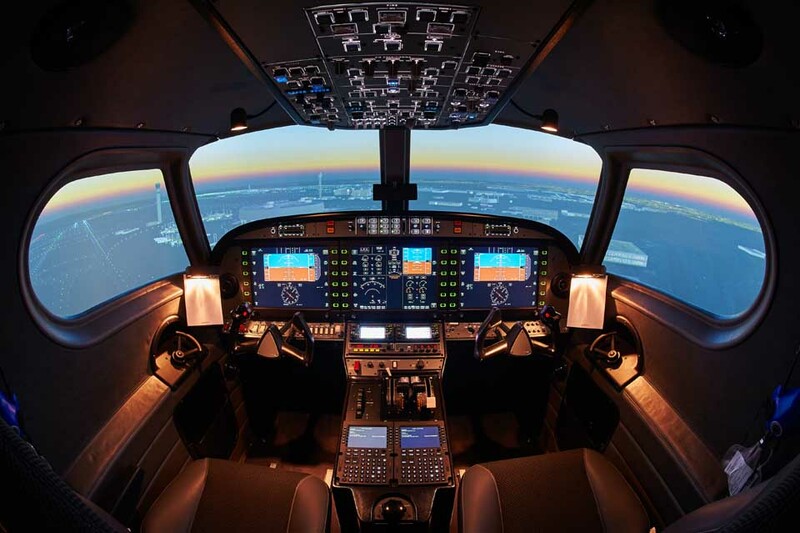 Once you have learned the classroom theory, you will begin putting your knowledge to the test in highly-complex simulators; often with 'full motion' facilities to accurately mimic the real aeroplane's performance. You will learn how to handle the aircraft in normal everyday situations, as well as how to manage engine failures, decompressions, hydraulic failures and computer malfunctions. Great fun! Finally, at the end of your type rating training, you will have the chance to fly the real aeroplane. You will be expected to complete some take-offs, circuits and landings until the examiner is satisfied you can manage the basics of flying the aircraft safely. This is often called 'Base Training' and represents the successful end of your type rating. We guarantee that you will have a very large smile on your face when you step out of the aircraft. You'll look back at the sheer size of the machine you have controlled so well and give yourself a well-deserved pat on the back! Assuming you pass each stage, you will now be able to apply for that specific aircraft 'type' to be added to your fATPL. And most importantly, you will realise that your brand-new type rating has made you a much more employable commodity. Since they involve the use of expensive simulators and real aircraft, type ratings do cost a considerable amount of money. Some students will be able to afford the costs themselves, but most will need to borrow the money either from their bank, their immediate family or some combination thereof. Whichever financial path they choose, they are 'self-financing' their type rating. Therefore once they've passed the course they are completely free to work for any employer who offers a flight crew position, and who has that particular aircraft type in their fleet. However, from time to time, some commercial airlines offer 'Direct Entry Cadet Pilot Sponsorships'. This is where the airline will cover the entire initial cost outlay of the type rating, but recoup their outlay by employing you on a lower salary than a self-financed pilot would earn afterwards. 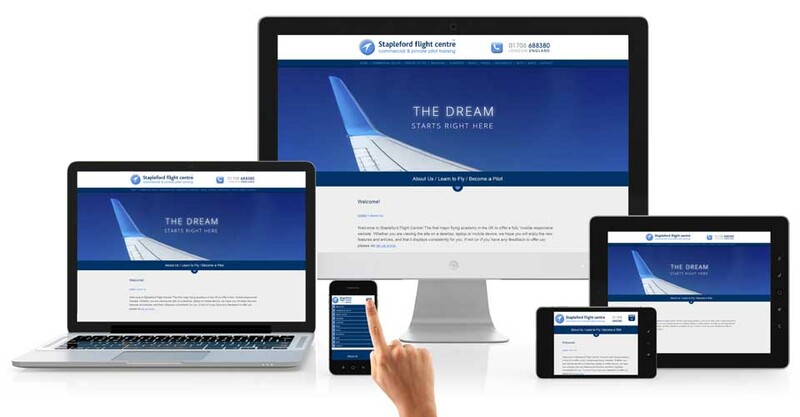 As you might imagine, competition is quite fierce for such sponsorships; partly because these schemes usually involve little or no initial financial outlay for the pilot, but also because they tend to have a reasonably reliable chance of securing employment with the airline subsequently. However, the 'flip side' is that you will be less free to work for another employer until the sponsoring airline's outlay is 'paid back', and you will certainly be on a lower salary than someone in the same job who had self-financed their type rating - perhaps for a number of years. Whichever approach you take, your type rating will usually be followed by a period of 'Line Training' where you are flying a real aircraft, on real routes and with real passengers; albeit as a Cadet Second Officer until you satisfy the various training captains you are competent to fly as a fully-fledged First Officer. 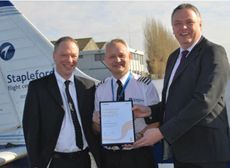 To begin with, as we have already mentioned, Stapleford Flight Centre (SFC) has trained hundreds of pilots who are now flying with commercial air operators all over the world. And we have the pass rates to prove both our training expertise and our successful track record. So rest assured, if you choose SFC as your training school, you really do have the best chance of achieving your dream. Moreover, SFC owns its own airfield just to the north of London. This geo-location represents a significant advantage over many of our competitors as it allows our students to train within some of the busiest airspace in the world. This alone means that you will be getting used to a high workload right from the start of your training. But why is this so valuable? Well, one big advantage is that, unlike at quieter airfields, you'll get used to dealing with a high number of radio calls right away. It also means you'll have plenty of other aircraft in quite close proximity to keep a careful lookout for. This builds an early appreciation of situational awareness – without question the most valuable skill a professional pilot can (and must) develop. 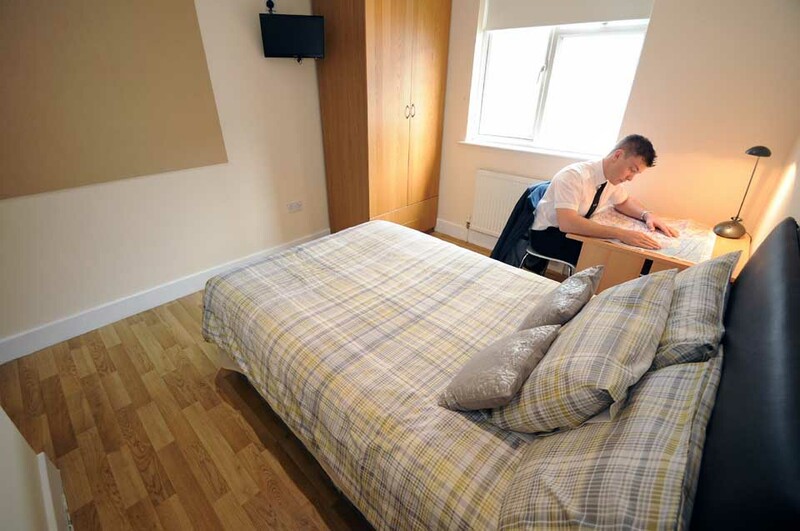 We offer superb student accommodation, plus a friendly clubhouse serving great food at our licensed bar. We are in close proximity to London, with all it has to offer, as well as having lots of local sports and entertainment outlets available locally. Transport-wise, there is a car freely available to all our commercial students, as well as excellent transport links to the centre of London and elsewhere. Last but not least, Stapleford's staff are always on hand to answer any questions you may have and there are always lots of students here from all over the world, so you have a great opportunity to make new and lifelong friendships. Unlike many of our competitors, Stapleford Flight Centre provides all commercial students a wide variety of aircraft types to train on; from our single-engine Tecnam P2008 JC, Cessna 152's, through to our retractable-undercarriage Piper Arrows, all the way up to our state-of-the-art multi-engine Diamond Twin Stars. This means that you will be building an ever-wider experience of different types of aircraft - each with different handling characteristics and performance. Getting a really good instructor is an essential part of your future success. We have a superb team of friendly, professional and highly-experienced instructors. Each of them has flown many hundreds, and some thousands, of hours. This means they know exactly how demanding the training is and know exactly what it takes to provide the best training for you as an individual. We offer all of the courses described above, providing you with everything you need to get from 'Zero to Hero'. Do I Have to be Clever to Become a Pilot? A simple but perfectly understandable question! Whilst it's true you can't be a complete dullard, and you most certainly can't be lazy, with a reasonable head for basic arithmetic, a steady hand, plus our expert training here at SFC, your dream of a professional flying career really is within reach. How Much Does it Cost to Obtain My ATPL? This is perhaps the biggest question of all. The honest answer is that a commercial flying licence does involve spending a lot of money. Whether studying via the modular or integrated routes, by the time you factor in ongoing living expenses over the eighteen or so months it all takes, you should expect to spend somewhere in the region of £50,000 - £90,000 to get your fATPL. Then, unless you join a sponsored scheme as described above, you'll also need to budget a further £15,000 or £30,000 respectively to obtain either a turbo-prop or jet type rating. However, this considerable expenditure is more than offset by the opportunity to earn a good salary as a professional pilot, perhaps for many years ahead. Typical starting salaries for self-financed First Officers in the UK are around £30-35,000 per year, with salaries increasing to near £100,000 per year for highly-experienced Captains. There is always a demand for new pilots as older pilots retire and the airlines of the world expand (especially in the Far East currently). We offer all students the latest airline industry recruitment news as we get it. And if you need more information on raising the necessary funds, we are always happy to help you plan your finances and offer advice on obtaining student loans. Interested? Excited? Motivated? Still have some unanswered questions? Then why not contact us, or come along to one of our regular open days to find out more? Your dream of becoming a pilot starts right here!